After days and days of rain the sun came out this morning. I was out the door with my walking shoes on as soon as I'd finished the most essential morning chores. It seems ages since I've been out. The sky was a hazy blue and the sun bright and warm. Steam wafted up from the road, fence posts, letterboxes, anywhere the sun hit. We're paying for it now. A huge bank of white mist has rolled down the harbour and engulfed us. Good bye sun, hello cold and dreary. 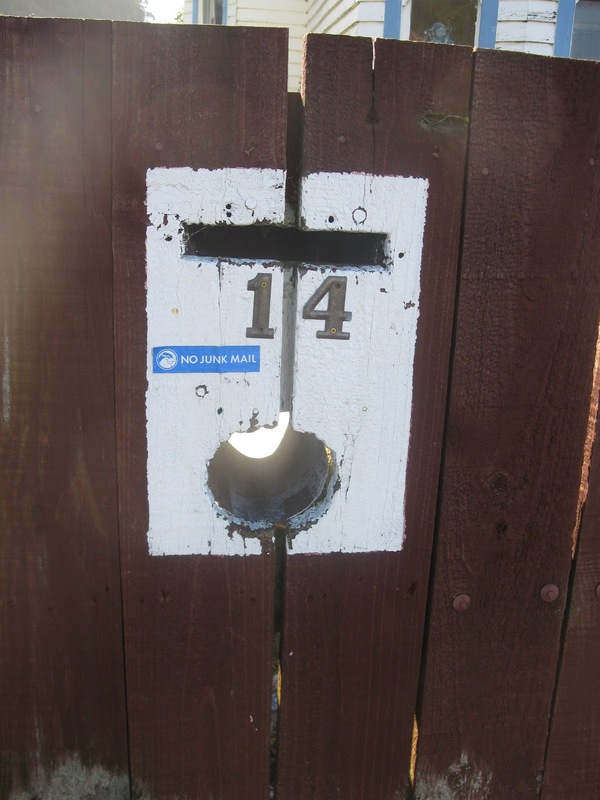 I took my camera with me today, not sure of what I'd snap, but this letterbox and gate caught my eye. 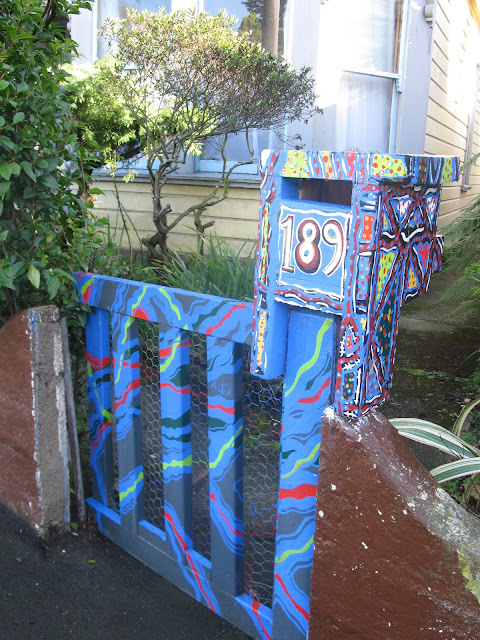 So I spent the rest of my walk sniffing out unusual or pretty letterboxes. I do like the hand painted ones and the red one with the oriental 'roof' is nice too - anything red always attracts me. This bottom one, however, is what I would like for our own home. Right, it's back to the writing for me. Have a great weekend! There are some really clever people out there. 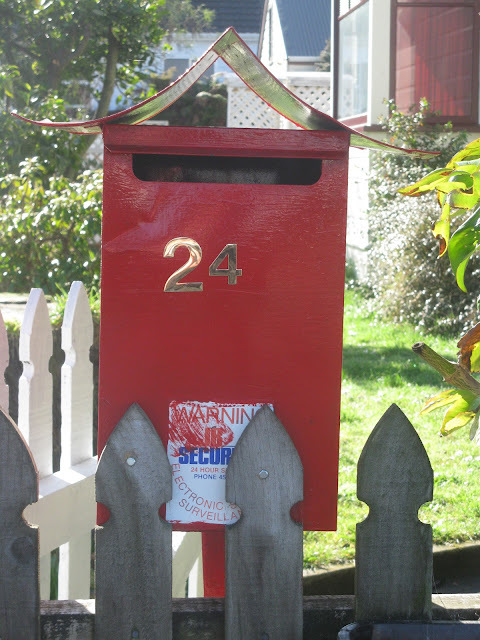 Do you remember the letterboxes that were featured on NZ postage stamps a while back? Some of them were amazing. And I do believe there has been a book published on the subject as well. Yes, I remember the stamps. I haven't seen the book though. It would make a great coffee table book. I like 41, add a few fins and a propeller and it would be ready for take off! It does have an aeronautical look, doesn't it? I thought that one was rather clever too. Good old Kiwi ingenuity! Showed these to my DH and he said there are two or three books in a series about Kiwi life. Letter boxes. Out Houses (He thought it was called Dunnies) and the others on Bloke's Sheds. 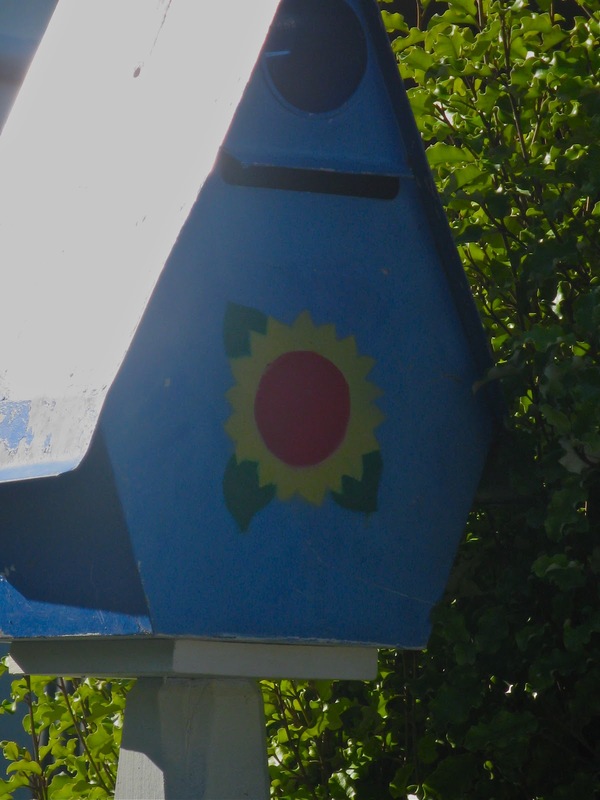 They were put out several years ago. Probabaly something to look for at Garage Sales. I've heard of Bloke's Sheds, but never seen it. They all sound fun, especially the Dunnies one!